Pastors face a lot of challenges, but the hardest is when they’re attacked by an antagonist. 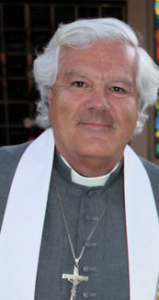 Sure, there are some bad apples that fall from the clergy tree, but most are loving and compassionate. They really care about people and do long for those under their care to grow spiritually and thrive in their journey. Why is it then, that too often pastors are attacked? 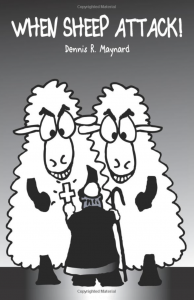 Is it possible that not all the sheep are, what one writer once referred to as, “well intentioned dragons”? Could it be that some are actually bent on causing harm to the pastor and to see his ministry fail? Dr. Dennis Maynard speaks candidly and boldly on the subject while urging the church to become a safe place for the pastor to serve affectively without this all to real pressure. The Reverend Doctor Dennis R. Maynard is the author of seventeen books. Over 200,000 new and life-long Episcopalians have read Those Episkopols. 3,500 congregations throughout the United States routinely utilize the book in their evangelism and new member ministries. He has since written two additional books on the subject that have rapidly become best sellers. 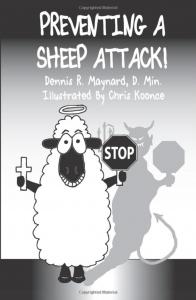 Preventing A Sheep Attack is being used to guide boards to establish mechanisms to prevent an attack. Healing For Pastors and People Following A Sheep Attack has brought comfort and healing to hundreds that have endured that nightmare. Doctor Maynard served some of the largest congregations in The Episcopal Church in America. He was ordained a priest at the age of twenty-four. Since then his ministry included congregations in South Carolina, Oklahoma, Illinois, Texas, and California. He has completed two undergraduate degrees. He was awarded an Associate of Arts Degree in psychology and chemistry. His Bachelor of Arts Degree is a divisional major in the social sciences with a minor in biology. He earned a Masters Degree in theology from Seabury Western Theological School. His Doctor of Ministry Degree was also earned at Seabury. He currently resides in Rancho Mirage, California with his wife, Nancy Anne.